No divorce is without its contentious aspects. A major point of concern for both parties involves child support. Your child custody and support arrangements go hand in hand, as Texas state law dictates that physical custody generally determines who makes child support payments. In most cases, the non-custodial parent (the parent with less physical possession time with the child) pays child support, but there may be some instances in which child support is paid by both parents. If you need help navigating the complexities of child support in the state of Texas, contact Austin child support attorney Abraham Kant Esquire. Texas law dictates the amount of each child support payment be calculated based on a percentage of the non-custodial parent’s income. By using a certain fee schedule, you can estimate how much you will pay in child support each month. There are certain instances where the payments will be more or less – but those instances must gain court approval and are based on fairness to the parents or child. If a child is attending a private school, it is especially important to bring this fact before the Court. A court can order a parent to pay both all or a portion of private school expenses in addition to child support. If this is the case, it must be carefully explained in a court order. Custodial parents generally don’t pay child support. The law assumes they pay money for the child directly by providing housing, food, and other means of support. Determining the amount of your child support payments is a matter of calculating your available income and making certain deductions before applying the fee schedule. Your income includes everything from wages, commission, salary, tips, severance, retirement, and even workers’ compensation awards. If a party is purposely unemployed to avoid making child support payments, the courts can impose income requirements based on their ability to work, or set child support based on prior earnings. It’s important to realize that these are rough guidelines that may change depending on the situation. In Texas, there is no minimum child support payment. If you have additional questions, a qualified Austin child support lawyer can help; contact Abraham Kant Esquire today. There may be some disagreement in determining your (or your ex-spouse’s) child support payment, and the courts will ultimately make a final ruling. Once this ruling is in your divorce decree, it’s legally binding. There are limited instances in which you can request a modification for child support. This is usually the result of a “substantial life change” such as a job that comes with a promotion or being fired from a job. If you request a modification to your child support order, you must provide the courts with proof of your change in income. If the courts deny a request for modification, the noncustodial parent will still be required to make payments as scheduled, and in the full amount. If a person ordered to pay child support fails to do so, you can take them to Court to have them fined and have their future child support changed. Courts will generally either order a lump-sum payment to make up for any missed child support or increase the monthly child support obligation to slowly pay off the child support arrearage over time. In such circumstances, Courts will generally order that the reasonable family law attorney fees incurred by the parent who had to enforce the Court’s Order be paid by the parent who failed to pay their child support obligations. Child custody and support agreements are two of the most emotionally charged issues in Texas divorce cases. The more you know about what to expect with a child support arrangement, the better prepared you’ll be for the conversations, mediation, and/or trial ahead. Use these frequently asked questions about Texas child support to help with your case. 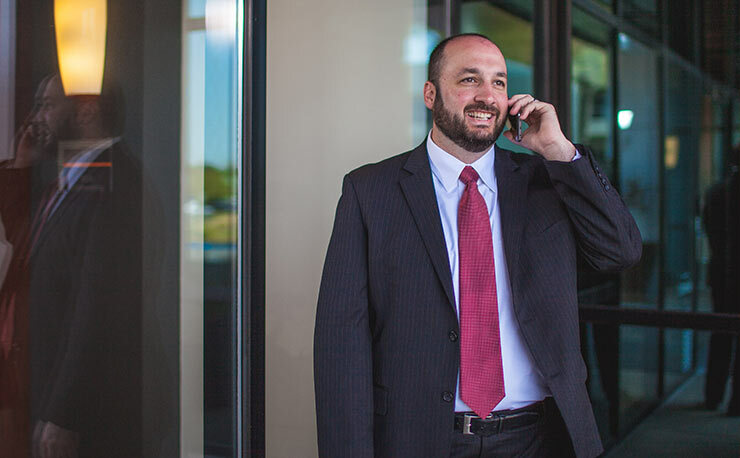 Contact our Austin family law attorney for a free case evaluation if you still have more questions. The law obligates all parents to financially support their children. Because the costs of raising a child are significant, the Texas courts dictate that both parents must share the necessary expenses, even after divorce. Generally, the noncustodial parent will have to make child support payments to the other, custodial spouse. This means if you have primary custody of the children, your spouse will likely be the one who must pay you child support. The courts will determine which parent has to pay child support based on factors such as both parents’ incomes and child custody arrangements. To learn more about child custody in Texas, talk to our Austin child custody attorney. When Is Child Support Necessary? The point of a child support order is to provide children with the same opportunities and standards of living they enjoyed prior to the divorce. The court’s goal is always to minimize the impact the divorce will have on a child’s life. Child support does so by providing the same level of financial stability the children had before the split. Child support payments should cover medical care, educational costs, extracurricular activities, personal items, food, clothing, and expenses relating to child care and upbringing. How Do the Courts Determine Payment Amounts? Each couple will have different child support payment amounts based on the specific details of their circumstances and parenting plans. The calculation begins with looking at the noncustodial parent’s gross (pre-tax) income, then subtracting Social Security taxes, federal taxes, union dues, and health insurance premiums for children. This will give the parent’s net income. Divide net income by 12 months for a monthly net income amount. Next, multiple this amount by a percentage based on how many children require support. The amount you get from multiplying net monthly income with your percentage is the amount you’ll pay per child. This is the general calculation system the Texas courts will use, up to $7,500 monthly net income. If a parent makes more than this, the court will determine if circumstances warrant a higher payment or not. Any additional amounts cannot exceed what the child needs. Can I Modify a Support Agreement? Yes. The Texas courts permit the paying parent to request a child support modification if circumstances change. If, for example, the paying parent loses his or her job, the courts may grant a modification request. The parent seeking the change must have proof that his or her circumstances have changed. Missing a child support payment can have serious repercussions. If you miss one payment and make it up, it’s not the end of the world. However, if you continuously miss payments, the courts could put you in contempt and serve a criminal warrant for your arrest. You might also face liens and wage garnishments to make up the missed amounts. Most child support agreements will last until the child turns 18 or graduates high school. However, payments may last longer if the child remains dependent on the custodial parent past the age of 18. This may include a child still living at home or one with a disability. The courts can mandate indefinite child support if circumstances mean the child will remain dependent on the parent for life. Unlike spousal support, the custodial parent getting remarried does not alter or end a child support agreement. Texas child support payments often become a subject of debate in court proceedings, whether it’s determining an initial amount or getting a noncustodial parent to make their payments. Austin child support attorney Abraham Kant can help you settle all your child support matters swiftly. Abraham Kant will aggressively fight for your rights should litigation become necessary. To schedule a free initial consultation with our Austin child support lawyer, please contact us.